On the face of it, a play about the wartime flight of the majority of Denmark’s Jewish population across to Sweden suggests a balance tipped in favour of worthy theatre as opposed to escapist entertainment. Less than comfortable seats (a complaint shared by neighbouring audience members) did nothing to ease a sense of foreboding. 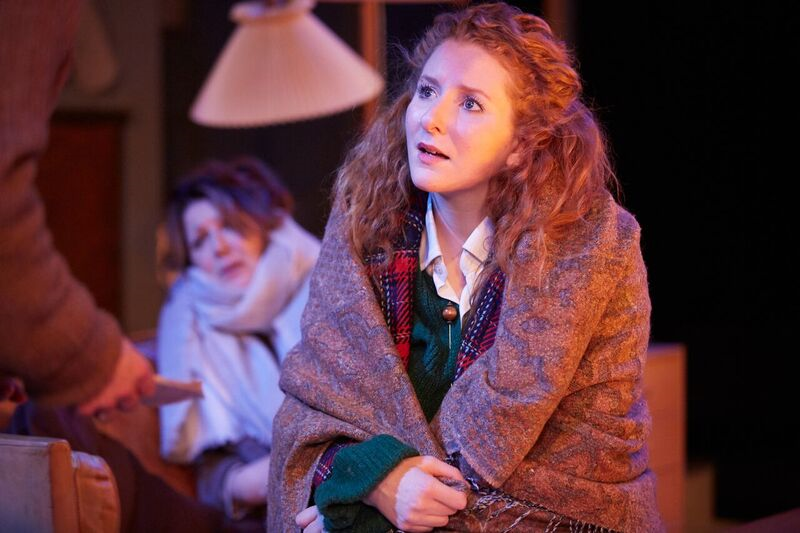 Any misgivings were however completely confounded by a play which sustained engagement throughout, raised questions on so many levels without providing easy answers and still managed to balance periods of dramatic tension with much needed light relief. It is December 2001 (the audience being left in no doubt as to date and context by the strategically placed block calendar and radio news announcement produced with an accent curiously not replicated by the actors). Abraham (David Bamber) and Sara (Julia Swift) are hoping to be joined by their son before the end of the Hanukah celebration. In the meantime, the arrival of their friend Lars (Neil McCaul) and daughter Eva (Dorothea Myer-Bennett) is expected. The relationship between childhood friends Abraham and Lars is clearly complex, coloured by their childhood wartime experiences which saw the escape of Abraham’s family to Sweden and the execution of Lars’ father. As part of his research into a book re-examining the myths surrounding the escape of the Jewish population of Denmark, historian Lars wants to interview Abraham to establish a personal perspective. In the process, unexpected truths are revealed along with individual stories which might perhaps have been better left untold. In what director Kate Fahy describes as the weird era of ‘post truth’, this play raises intriguing questions not only of how myths are created and perpetuated but the extent to which we choose to believe them, whether it is right to do so, how we consciously ignore inconvenient truths and the risks involved in exposing deeply held beliefs to detailed examination. Bodin Saphir manages to run conflicting narratives not only in parallel but allowing other lines to cross at tangents given varying family perspectives. The characters are well drawn, from Abraham with his unshakeable belief, Lars with his determination to seek the truth (whatever that means and regardless of consequence) the delightful Eva who has an untold story of her own and Sara, so tolerant of her husband. Bodin Saphir has a clear understanding of family dynamics and the humour to be found in relationships. One irony in asking questions of what stories we choose to tell and believe is that by definition, Bodin Saphir has chosen to tell a story in a particular way. This in itself demands a little research into the degree to which he has himself edited history for the purposes of his own narrative – which is no bad thing. It is a measure of the quality of writing that an audience is able to identify with all the characters in spite of their conflicting positions. The fact that this was combined with clear warmth in on stage relationships (in spite of erupting quarrels) is a mark of the acting quality in a company deserving of equal credit. Design by William Fricker suggested the clean lines of Danish architecture but without the artificiality of a Sunday Supplement photo shoot. This was a lived in, comfortable home, slightly battered at the edges (and in the unseen pipework). 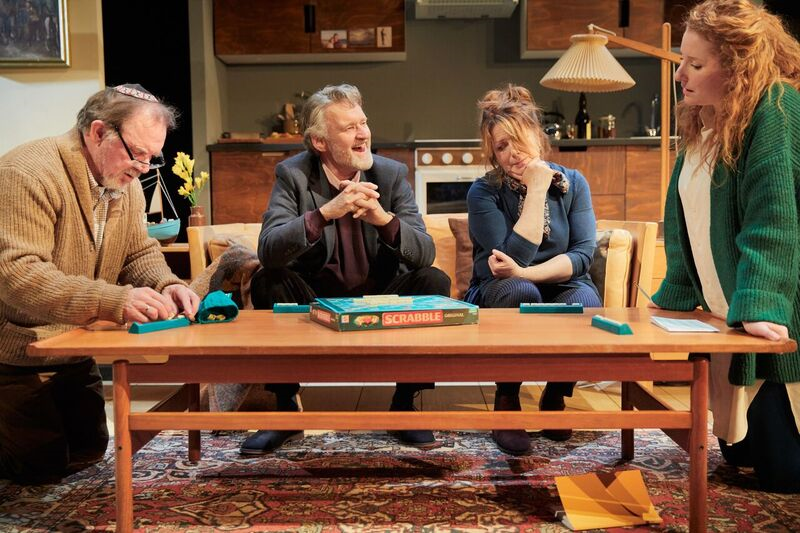 Director Kate Fahy succeeded in harnessing an excellent cast to a well written, extremely entertaining play which raised fascinating questions to be pondered long after its conclusion. Highly recommended. To find out more about Rosenbaum’s Rescue visit Park Theatre’s website. If you like this review you might also like Musical Theatre Musings review of Beirut and Greater Game.